Sidewalks throughout the subdivision serve as a comfortable walking path for safe family recreation. We believe that your life revolves around not only your family and home, but your community as well. 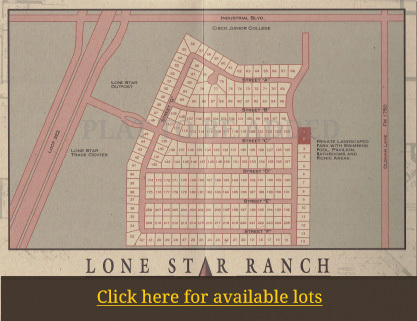 Lone Star Ranch is a community with the whole family in mind. The Lone Star development is designed to graciously blend spacious residences in convenient proximity to business areas, local schools and the Texas countryside - close to home, work and play.